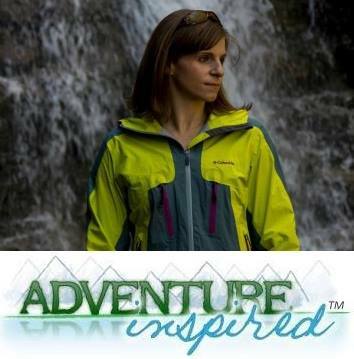 While sitting on a friend's couch last summer watching Animal Planet's I Shouldn't Be Alive: Killer Crevasse, all I remember thinking was how glad I hadn't seen the show before I climbed Mount Rainier in 2010. The episode featured mountaineer Jim Davidson and his incredible survival story, but the recreation of events was real enough to send chills down my spine. "So that's what it looks and feels like to fall into a crevasse..."
It's any mountaineer's nightmare, and for Jim, it came true. As Jim and climbing partner Mike Price descended the Emmons Glacier along the Liberty Ridge route in 1992, a snow bridge collapsed and Jim found himself plummeting into darkness. They dropped 80 feet into a crevasse, landing on a small icy ledge. Mike did not survive the fall. Jim had to fight a frozen overhanging wall, emotional devastation and fear to save himself. 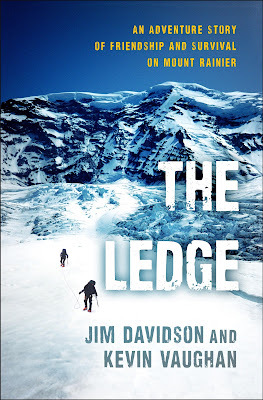 The Ledge, released this past July, is Jim's written account of the disaster and the events leading up to it. 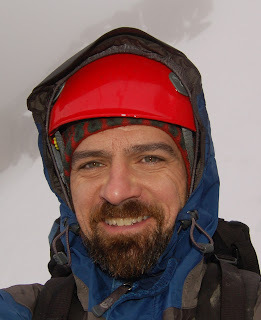 Jim and co-author Kevin Vaughan paint vivid pictures of the events leading up to Jim and Mike's trip to Mount Rainier, including forays into childhood and formative adolescent years. From climbing up giant electrical towers to work as a climbing guide, both men have such varied and interesting experiences, all of which culminated in a mutual love for the mountains and for adventure and a strong friendship. I was nearly in tears by the end of the book; through elegant prose and vivid descriptions, the authors made the events and emotions feel completely real. Real enough that, even though we know Jim survives, I was relieved to get to that point in the book. In sharing his story, Jim's given us a window into his soul. He's done so to help us all learn from it, and to find our own strength when we face insurmountable obstacles. How long did it take you to write The Ledge? What was your inspiration for the title? Jim: Once my co-author, Kevin Vaughan, and I sat down in earnest, we wrote it in about 6 months. 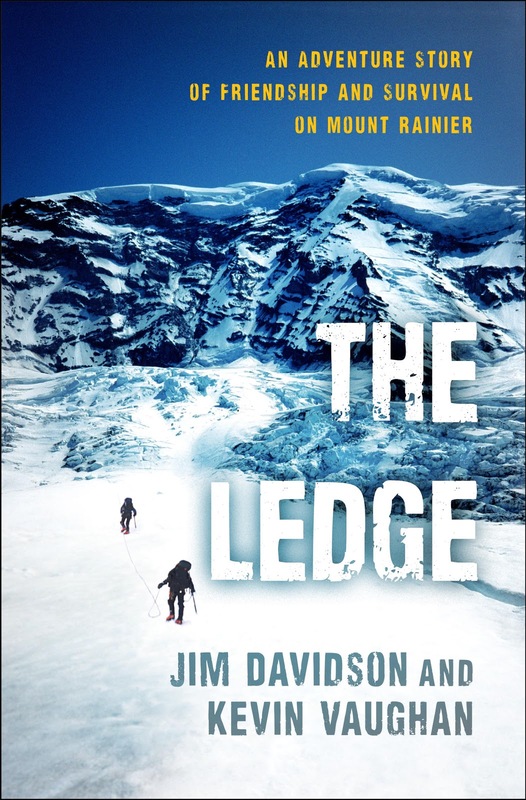 There was lots of revision and editing for another 6 months.We chose "The Ledge" because the core of the story happens down on an ice ledge, 80 feet inside the glacier. Also, there is a lot of psychological angst about me leaving the ledge to begin my nearly impossible climb alone out of the crevasse. What were some of the biggest challenges in bringing your story to life? Jim: Our literary challenge was to make the reader feel the cold, terror and uncertainty that I experienced down inside the glacier, while giving them the right amount of background on me and my climbing partner, Mike Price, about who we were and how we came to be on the glacier that fateful day. My psychological challenge was delving so deep into those terrible memories. Are climbing and mountaineering still a part of your life? Jim: Very much so. After a break to recover physically and spiritually, I returned to the mountain climbing. It has formed an even bigger part of my life since 1998 when I became an expedition leader taking young people on their first expeditions around the world. Mountaineering provides my exercise, my recreation, and my therapeutic stress relief, all in one big snowy package. If you could leave your readers with one bit of wisdom, what would it to be? Jim: Think about where your personal strength and resilience come from, so that you will be ready if life throws a crevasse, an obstacle, in your path. For more information about Jim and The Ledge, click here. Also, if you're lucky enough to be in one of the towns Jim will be stopping in on his book tour, be sure to say hello! Click here for Jim's upcoming book tour stops, including Canmore, AB and all over Colorado. Win a copy of The Ledge! To win a copy of Jim's book, simply tell us why you'd really like to read it in the comments below. Entries close at 5:00 PM EST Friday, September 29th. A winner will be chosen at random and notified the following day. Good luck! Huge thanks to Jim for sending me a complimentary book to read, and for providing the giveaway copy. As always, all opinions expressed here are my own. I would like to read it because it sounds like a powerful story. I'm almost in tears just reading the review. I can't imagine losing a climbing friend and having to climb out of a crevasse immediately after. Losing a climber friend is like losing a sibling, there's a stronger bond between two people based on safety and adventure. I hope Jim stays safe in all of his future adventures. I am perpetually fascinated by the idea of perseverance and finding resilience within—especially from the outdoors—and survival. There's such a vital connection between us and the natural world (one that I'm afraid we may be at risk of losing as a society). In my line of work, one of my greatest joys is helping others find and strengthen their own resilience and internal power and am constantly in search of inspiration and insights from others. It's definitely a powerful story! Thanks for the comment. Amy, thanks so much for your thoughtful comment! Jim's story encompasses all of those things - perseverance, resilience, survival, and more. I don't think you're an armchair mountaineer at all :) But agreed, I also love reading what others interested in things I love have to say! I'd like to win the copy as I bought one, got it signed for a climbing friend and mailed it away. I'll get another copy somewhere so I've got one at home. But I needed to send the other copy (after I read it!) to my friend. Definitely a re-read X 10!